Baba’s work was manifesting in India with full force for this cinema called the world — while in Europe, intense discussions continued about making a film centered around him — the Avatar. Baba was setting plans in motion to go to the West again. Norina, Elizabeth and Gabriel Pascal, the film producer they had contacted, cabled Baba from New York on 28 April 1934 that arrangements were being made to begin shooting the film within two months and Baba’s presence was required. 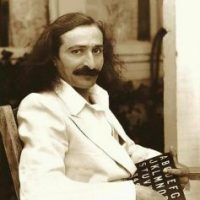 After staying with Meher Baba for ten years, on 28 April, Kalingad departed for Persia with tears in his eyes. The men mandali also regretted his departure. Kalingad never saw Baba again, as he died a few years later in Persia.